As a leading HSA provider, HealthEquity provides an informed perspective that promotes increased adoption and employee satisfaction. Our experience has led to the development of a robust communication plan that helps partners educate and motivate employees. In the initial communication to employees about the coming year benefits, include a brief description of the HSA-qualified plan and a link to the member resources website. Also provide a timeline with key dates and other milestones leading up to open enrollment. Immediately following the benefits overview communication, send an email to all employees, highlighting the wins provided by an HSA-qualified plan. Include as an attachment, the “Winning with an HSA” document. To help engage employees, send the “Who are you?” email, which introduces the personas. These personas illustrate personal scenarios that employees can identify with and see the real benefits of an HSA. An online tool lets employees assess their personal lifestyle and how an HSA will maximize their savings. HealthEquity secures a custom toll-free number for your employees to call and ask any questions they may have regarding HSAs. Our member services team is available every hour of every day to provide insight to maximize health savings. Reinforce the previous HSA messaging with a paystub stuffer that again outlines the benefits of an HSA-qualified plan and provide a link to the member resources website and the custom pre-enrollment hotline. HSA adoption can be significantly enhanced through the support and advocacy from company leaders. Use HealthEquity’s team to conduct HSA trainings alongside your company’s benefits leaders. We provide the tools and insight to educate leaders and help them engage with employees. Display a series of thought-provoking posters around the office, promoting the benefits of HSAs and directing employees to the various resources available. A certified presenter from HealthEquity can attend group benefit meetings. We have found it is more effective to make presentations to large groups rather than have a presence at benefit fairs. Promote the custom hotline for employees to call for answers to any questions and to request a personal assessment of HSA benefits and options. Our account mentors are available every hour of every day to help. 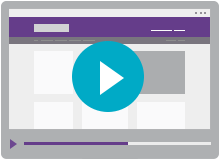 A series of live webinars familiarizes employees with the HealthEquity online member portal and how to use their account. An open FAQ session follows to address any inquiries. Attendance to the webinars are tracked and reported to you for additional follow-up. A recorded version is also available for those who are not able to attend. Customized welcome materials are mailed directly to employees who select an HSA-qualified plan. The materials provide an account overview, next steps and a HealthEquity® VISA® Health Account Card. 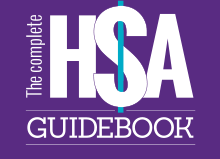 Members are given access to a free digital copy of The Complete HSA Guidebook. This comprehensive resource provides a detailed look at the policies and procedures affecting HSAs and offers insight into winning with a health savings account. Members are encouraged to consolidate any pre-existing HSA into a single HealthEquity account. We make it an easy and seamless process. HealthEquity’s advanced customer relationship management system prompts our account mentors on each call to take the time and provide individual insight into the member’s account. HealthEquity distributes a member newsletter that highlights new product features, updated legislation, upcoming tax deadlines and other significant news. Before the end of each tax year, an email is sent to members reminding them of the IRS HSA contribution limit and urging them to take advantage of additional tax incentives by meeting the maximum limit. Custom alerts and messaging to reinforce a company’s wellness campaigns or benefits initiatives can be displayed in the member portal. HealthEquity can provide useful content to include in paystub and statement stuffers. The content can support health initiatives, savings goals and product announcements. After a member’s HSA balance reaches the designated threshold, a communication is sent providing information on HealthEquity’s investment options and access to advisory tools.